You already worry, I know. You are worried about being good enough. You are worried about making sure the precious life inside you is delivered safely into this world. You are worried about money. You are worried about teaching the right lessons. You hope, when your son is here, protected, loved – there will be a sense of relief. And there will be. But worry and anxiety are about to change forever. Soon, they will be embroidered into the texture of your life. Soon, you will know what it is to have a piece of your heart in a separate body, what it is to feel another’s pain and joy so acutely that the joy and pain of the past are but shadows. There’s a lot to learn. Those flaps on the shoulders of baby vests? They are there so that you can slide the vest down when there is a poosplosion. Yes, that’s a word. Always cut grapes length-wise. If you have just applied nappy cream and have it all over your finger you can wipe it on the nappy. Co-sleeping cots are the best invention ever. The knowledge is the easy part. The feelings are much, much harder. When your son is two years and nine months old, he will be diagnosed with autism. This will be the hardest thing you have ever been through. But you will come though it and feel at peace and happy again, and content with whatever he will be. You will. You will. When you have your second child, you will find it so difficult. She will be fierce and scream and scream until crying is all you know, all you can hear. You will find dealing with that while worrying about your boy the second hardest thing you have ever been through. But you will come through it and feel at peace and happy again, and you will love her more than you ever thought all over again. You will. You will. Money will be tight. It’s only purpose will be for them. Every stage comes with a new expense, a new thing to learn, a new skill to master. If this sounds daunting, that’s because it is. If this sounds fraught with pain and heartache, that’s because it is. For every sleepless night and dreary day when you feel you can’t go on, there is a smile that makes know you can keep going. For every worry about money, there are tiny hands reaching for yours in the darkness, making you feel like the richest person alive. You can’t know any of this yet. Right now, you can only hope that you will be up to the task. Right now, you can’t know how motherhood will change you. You don’t know yet that life so much harder, but more luminous, more vibrant than it was before. Tesco Baby Club recently revealed parents spend around 1,212 hours worrying about their children in a single year. With that in mind, here is what I would have said to my pregnant self four years ago, at the start of the exquisite, painful, fascinating journey that is parenthood. 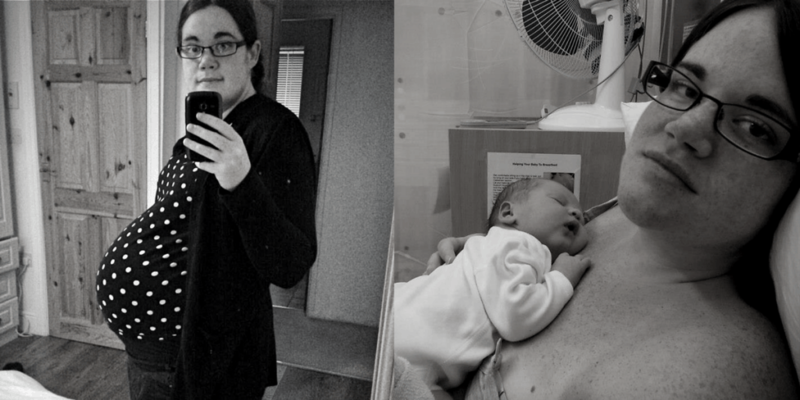 If you enjoyed this post, you may like to read ‘Before You Were Mine’, another post about how parenthood transforms us. What a lovely letter. It is so hard not to worry, but when I do I find it’s hard to concentrate on the good things. Thank you for sharing this. Love, love it! Thanks for this, and I can totally relate. 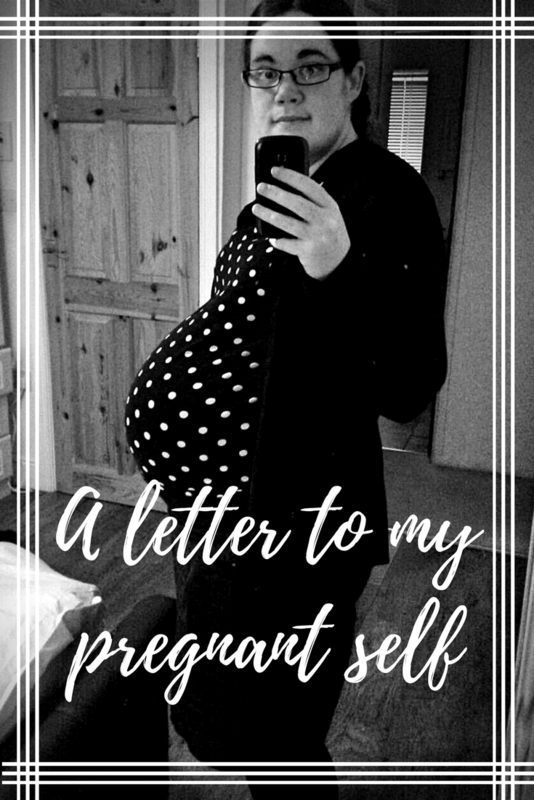 I’m pregnant with my first and I feel I’m worried and anxious about everything. I know it’ll be ok, I know we’ll work it out, but the fears pop up constantly! I didn’t learn the vest thing until my first was older and when I found out I mourned all those ruined vests! “For every sleepless night and dreary day when you feel you can’t go on, there is a smile that makes know you can keep going. ^ These parts particularly stood out to me – absolutely beautiful.